I was driving out of my neighborhood this morning when I saw my neighbor’s four-year-old son playing outside. My neighbors are Emily and Mark, and their four-year-old son, Ethan. Emily is an American, though she speaks with a mixed accent after having spent most of her adult life living in England with her English husband, Mark. They moved to the U.S. about three years ago. As I drove past their yard I recognized Ethan’s grandparents outside playing with him. The grandparents frequently fly in from London to spend time with the family. It struck me today that the grandparents go to great lengths to ensure a solid relationship with their grandson. Flying across an ocean and spending thousands of dollars is not a deterrent when you realize that relationships account for the majority of the happiness and success we achieve in our lives. This got me thinking, why do so many of my clients complain about living in a small town where it’s hard to meet guys? Why do so many of my clients complain that there are no good venues to meet men for people who don’t like the bar scene? Have they limited their perspective too much? Could it be that they have not realized the full importance and value of going to extraordinary measures for the sake of building an extraordinary relationship? After all, a relationship can last a lifetime. If your future husband lived in Great Britain, would you fly across the ocean to meet him? Of course you would! Would you fly to London just to meet some potentials? Probably not, and I wouldn’t advise you to do that either. However, I WOULD advise you to stretch the limits of your imagination when it comes to investing time and energy in meeting high quality men. Here’s the truth. It’s not easy! But there is a twin truth that goes along with that. It is worth it! 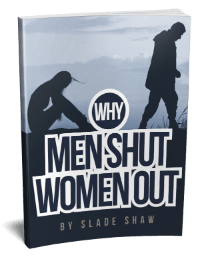 What could you do today if you were going to throw off the chains of restrictive thinking and really go after opportunities to interact with a quality guy? What have you previously ruled out because it’s too far, too expensive, too different from what you’re used to, or too whatever? I only push you outside of your comfort zone when I believe it has the potential to enrich your life. If you can think of a way to stretch beyond your comfort zone, it may be that even without any successful relationship outcomes you feel happier and more invigorated by embracing life and taking chances. This entry was posted in Dating, How To and tagged comfort zone, Dating, How to, traveling by James Bauer. Bookmark the permalink. Dear James, how are you today? I have downloaded most of your irresistible insights wit the purpose of using the information to attract my ex back and it worked. But i am dealing with very discouraging circumstances in my life that he broke up with me again and this time he said it was good. Because of my personal issues after he came back like a month into it i started to revert back into my insecure controlling state. And i blew it in a fit of jealousy, over nothing. He said he just doesn’t want to have the responsibility and demand of a relationship anymore and that in spite of loving me, he wants to be free from relationship obligations. He also said hes not happy with the thought of being with one girl forever, and that maybe marriage is not for him. I am very much heart broken, as i love this guy. I do admit that i put him on a pedestal, and invested alot of myself to make things work. Which brings to the fact that i would like to purchase your “His secret obsession” program. To give this last try. I cannot buy as clickbank doesn’t accept purchases from my country even through paypal. Please help me James, I ask from the bottom of my heart. I can pay more than the actual cost if you can accept me to send the money in another way. Hi Mirna. 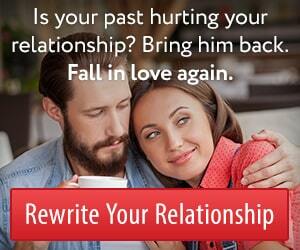 Naturally, I would love for you to take my relationship course, His Secret Obsession. It does frustrate me that those computer programs cannot differentiate between people like you and the others who have ruined the reputation of a certain country with the credit card processors. The only reliable solution we found for that is to have a friend make the purchase on your behalf. Please also remember that while personal development can help a lot in relationships, you are a lovable person the way you are. Your needs may not match perfectly with his needs, and that can end a relationship. But it doesn’t mean you are broken. It doesn’t mean you need to be fixed before you can find a suitable partner who will love you the way you are. You seem to be insightful and motivated to invest in a loving relationship. There are many people who would love to meet a person like that. So even if this man ultimately decides he wants to avoid committed relationships, never give up on yourself. Never give up on the possibility of building a beautiful relationship with a person who wants someone just like you. I am texting and phone conversing with a man in another state, it so happens his daughter lives near me and he will meet me when he visits her. We have plans for two vacations as we get to know each other, we are exciting that we sound very compatible… so, long distance give more speaking time rather than rushing into physical romance, which often is a fling and a fail when you learn more about each other… long distance you really get to know a person, if they are a good honest communicator, that is. My parents had only one week end visit per month and the rest was letters by mail as my father was in the service, after nine monthly visit they got married… that was 53 years ago,they are still married and my mom has all of his letters in her headboard of the bed cubby. maybe the way you took it was not the way they were but all the same you get so concerned with life which is good. So, these internet dating sites really work? Hmmm. Well, so far the dating site I’m on has worked. I have been dating a really great guy for 3 weeks. Its awesome!! Hi James I am so all over this! It stirred my imagination all the way around and even caused my heart to tap into some relationship expressions via text message that opened me completely up as a woman wanting a man. The only hard thing about it is not being able to feel his arms around me or his touch on my lips etc…that is very hard to endure for me…….and him also I have discovered! Exactly…this is what I do every weekend …I visit another state to be with a Lover.. I had meant online…..and its so totally worth it…..its better than being on vacation . May I ask what site to met him on?